Steve Thomas [Illustration]: NYCC exclusive with Spoke Art: Can You Dig It? NYCC exclusive with Spoke Art: Can You Dig It? I've worked once again with Spoke Art for an exclusive print with them for the upcoming New York Comic Con (Oct. 9 to 12). 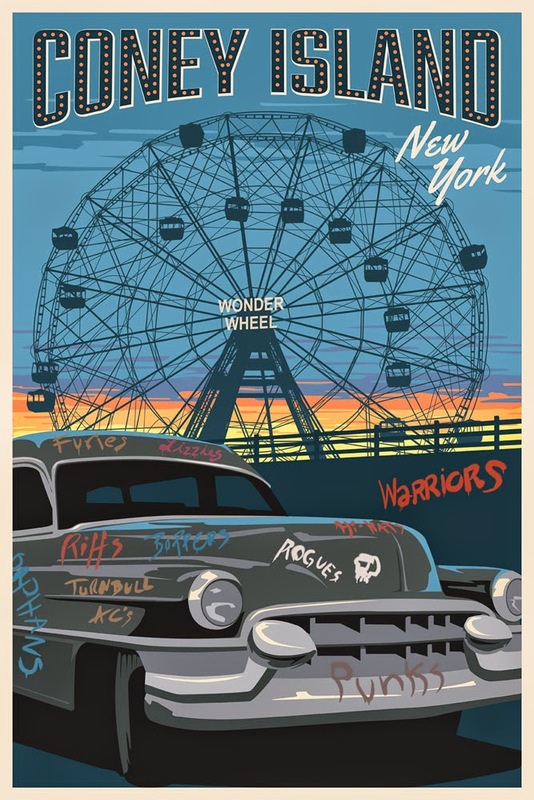 Inspired by the 1979 cult classic, "The Warriors" this print brings you home to Coney Island. Spoke Art will have 50 hand numbered and signed Giclee prints available - 18 by 24 inches. At first, they will only be available at the Con. 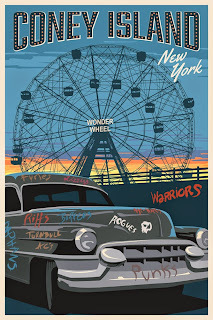 If they don't sell out then Spoke Art will sell them on their site. So stop by the Spoke Art booth for a closer look.